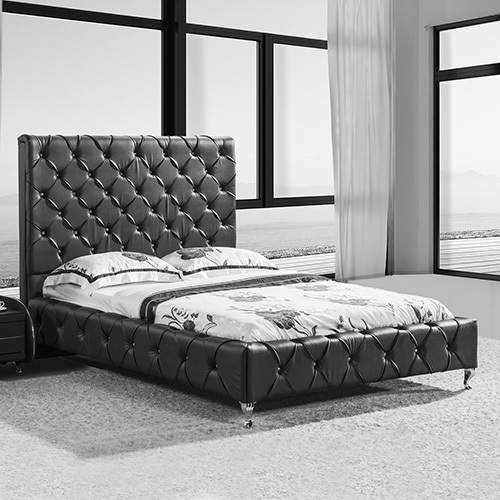 Upgrade the look of your bedroom with this modern tufted bed by Melbournians Furniture. 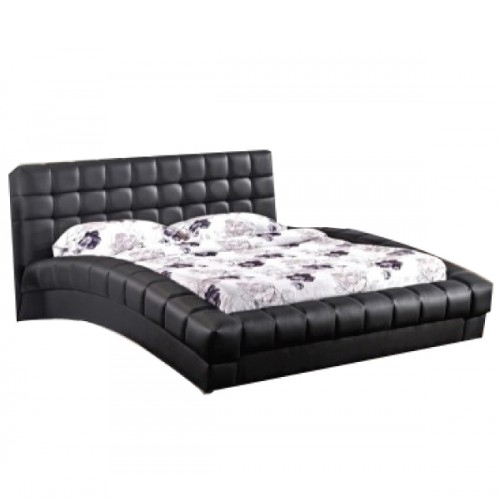 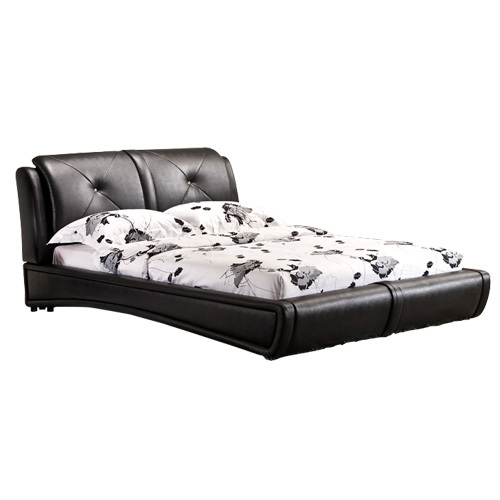 Soft Faux Leatherette upholstery, deep quilting and crystal tufting on the headboard brings an elegant finish to this black luxurious bed. 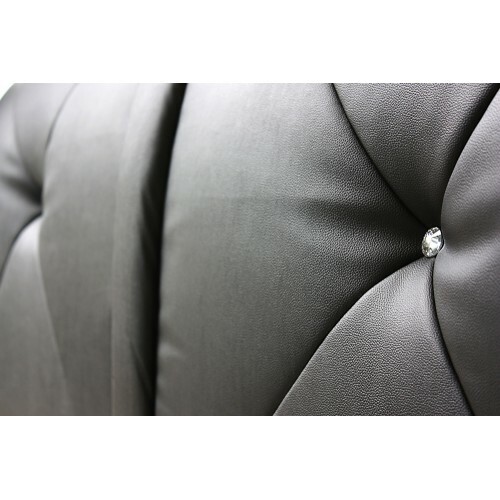 Two layers of curved thick padded headboard would ensure the comfort. 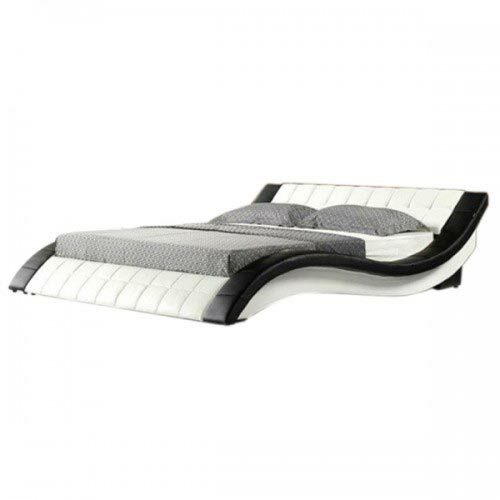 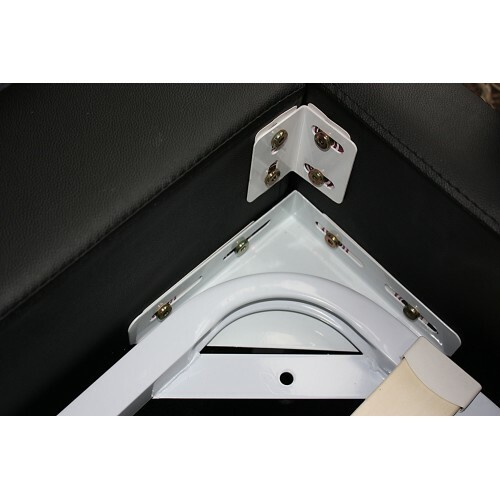 The upper layer of the headboard has a divider in between to provide comfortable back rest to you and your partner. 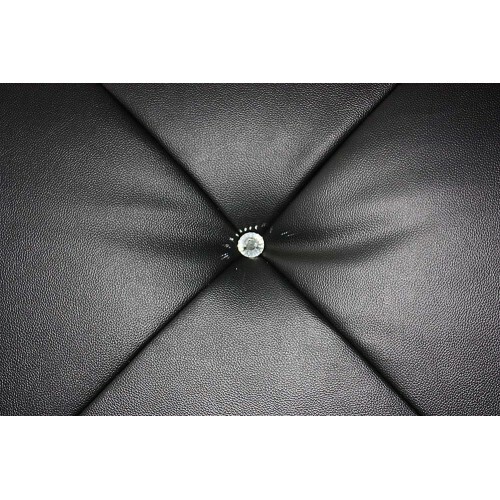 This will allow you to lean back contentedly. 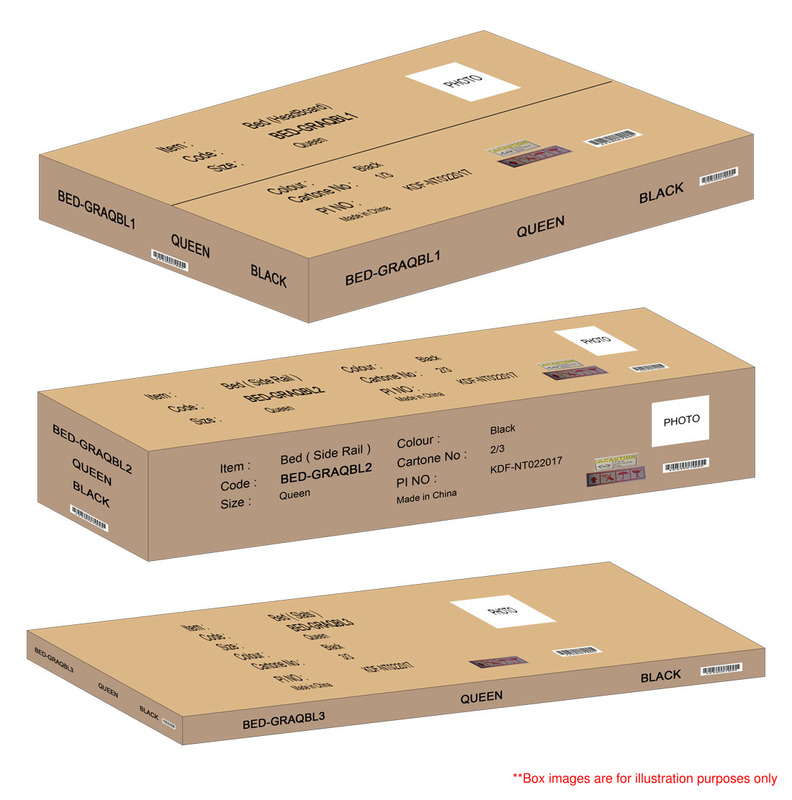 Unlike other bedframes with metal joint, this bed has metal made corner brackets.These are fixed in four corners of the frame to make it stronger. 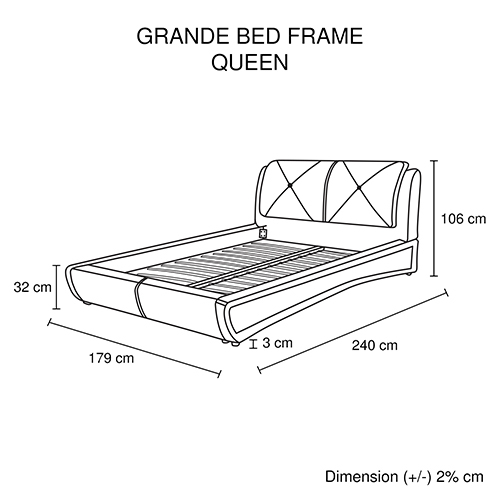 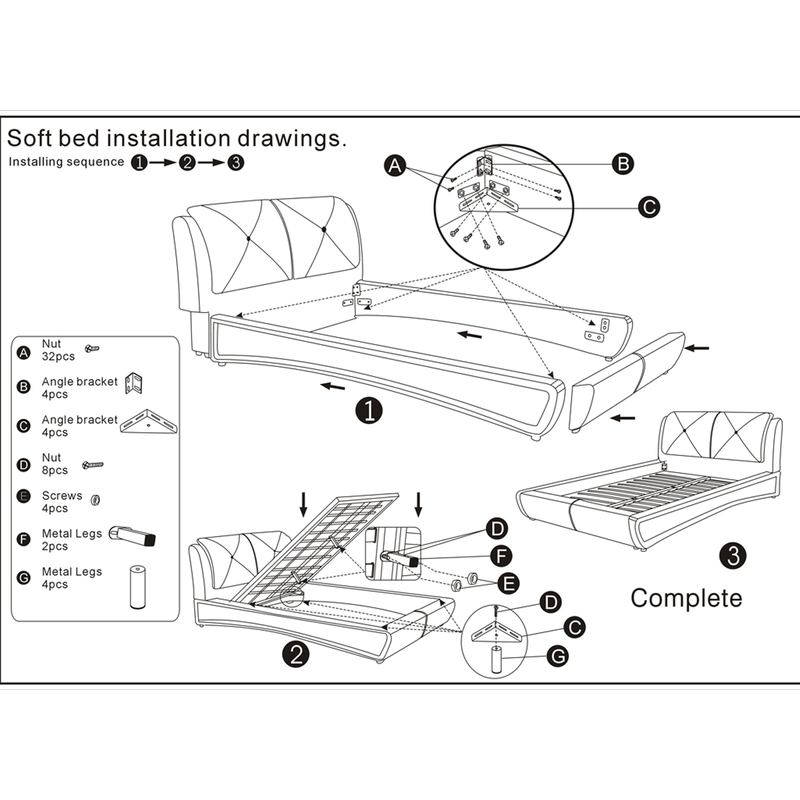 The lower portion of the side rail is slightly curved which allows you to clean beneath the bed. 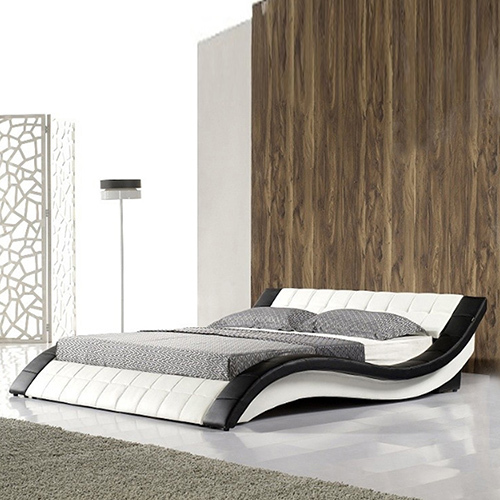 The strong and sturdy feet Makes the bed firm and also offers a bold look to your room.